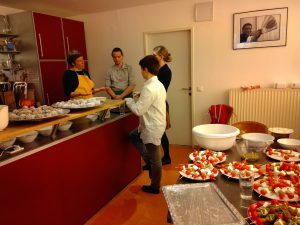 Taste might be the word best attributable to a Viennese evening of food, drink, and cultural performance. 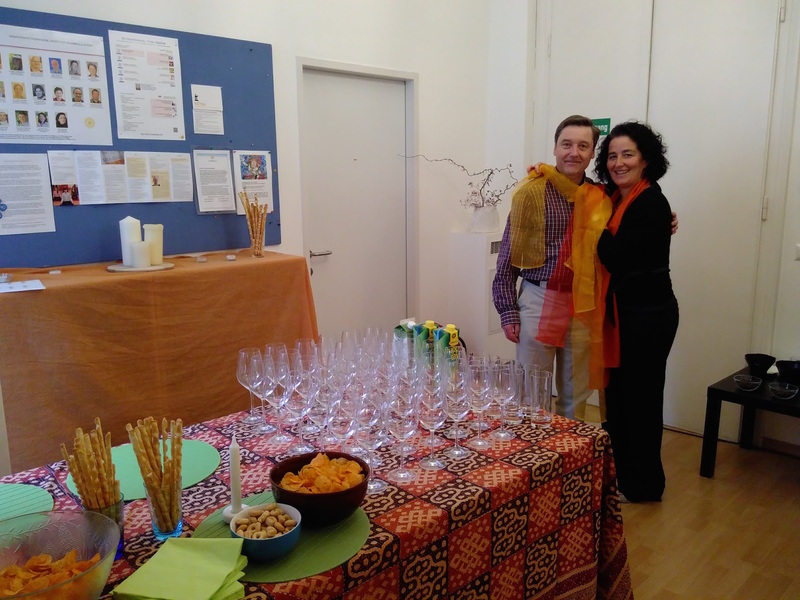 That was indeed the case on the evening of May 5th, as local sangha and guests of the Vienna Shambhala Center came together for a fundraiser in support of the upcoming Symposium, Peace Now: Creating Peace in Difficult Times. The symposium, to be held September 15th – 17th, 2017 at the Austria Center Vienna, will feature Saykong Mipham Rinpoche, Acharyas Arawana Hayashi and Susan Chapman, as well as the founder of the Economy of Common Good in Austria, Christian Felber. We will also be offering a host of additional European speakers and workshops focusing on ways to create peace across many sectors of society, from working with refugee populations and domestic violence, to education and economics. 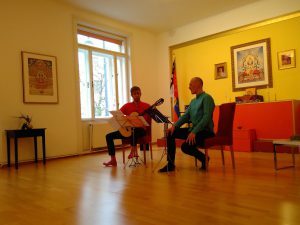 Putting on such a large-scale event is no small effort, and preparations by the Vienna sangha have been underway for more than a year. May 5th’s fundraising event, which generated awareness, joy, and funding for the Symposium, featured the rich flavors of Vienna: wines straight from the vineyards of a local artisanal winery, local roasted fair-trade coffees from Vienna’s 5th district, and catering chef Allen Kraeuter’s selection of artful hors d’oeuvres creations. 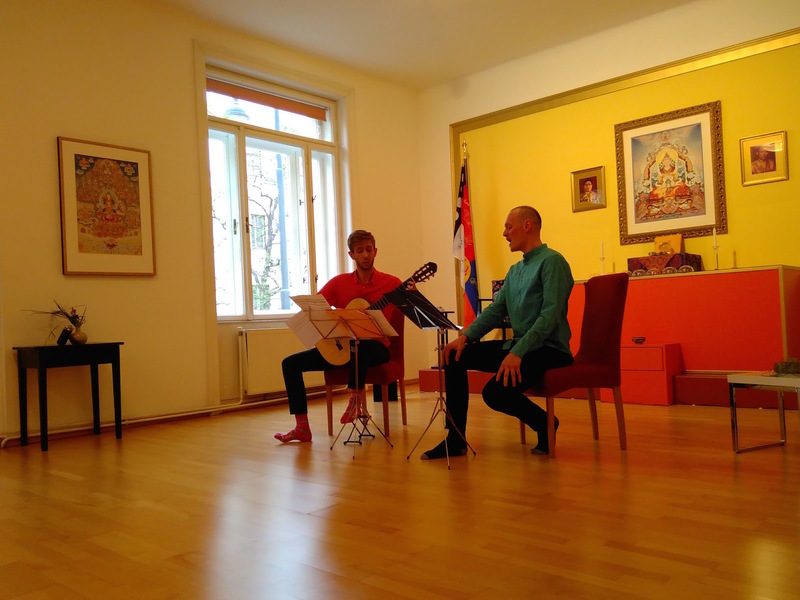 Musical performances were given by opera singer Friedolin Obersteiner and classical guitarist Maciej Łyczek, and we also enjoyed an Indian dance performance by Barbara Parvati. Many of the Symposium’s workshop leaders were on hand to share the work and ideas they will present in September. At the end of the evening, guests headed out into the spring air for a short walk to the nearby Bellaria Kino filmhouse, where an audience of about 100 people enjoyed a screening of An Uncommon King, Johanna J. Lunn’s documentary film on the life and role of Sakyong Mipham Rinpoche. The Bellaria, one of Vienna’s oldest cinemas, has a history befitting the film’s title. The theatre’s structure, originally part of the vast Hofburg Palace complex, served as a stage for the arrival of Empress Maria Theresa’s stagecoach. The filmhouse opened in 1911, in the waning days of the Habsburg monarchy. 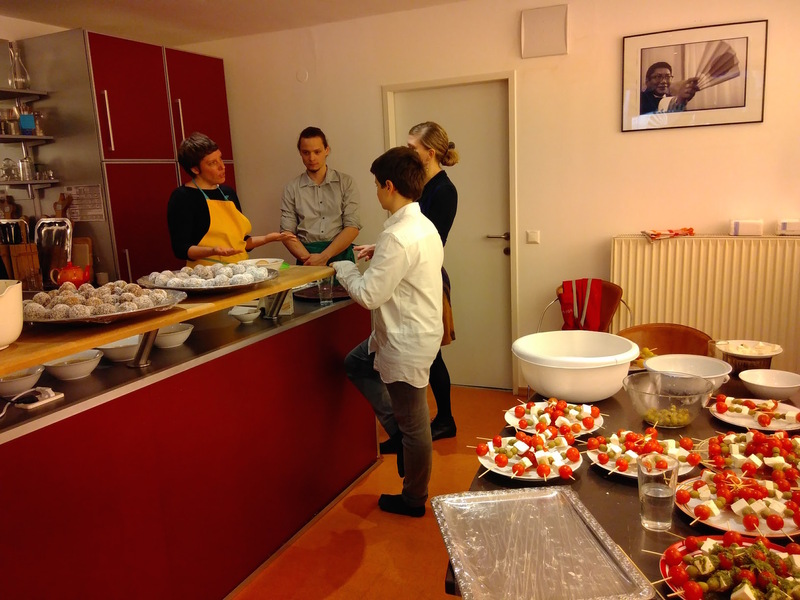 If you would like to experience for yourself the history, sights, sounds, and flavors of Vienna this September, and to attend the Symposium Peace Now! with the Sakyong — now is the time to plan your trip! Tickets are available for purchase at an early bird rate through June 30th. Find full event program details and buy tickets online at: www.peacenow.at, or visit the Facebook page at: www.facebook.com/peacenowshambhala. If you are not able to attend but would like to support the event, you can do so here or at the website.